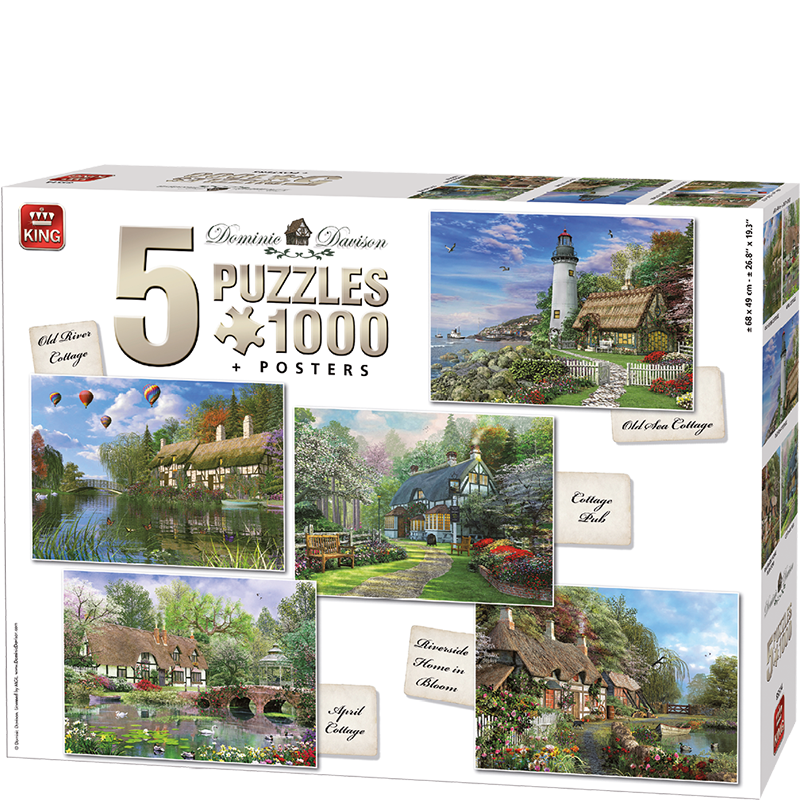 A large box filled with 5 different 1000 pieces puzzles of several cottages. All cottages are very nice and attractive in a lovely surrounding. A true gift for all puzzlers and Cottage lovers.